Home is where the heart is, so capture the spirit of your happy place with this personalised Home print. 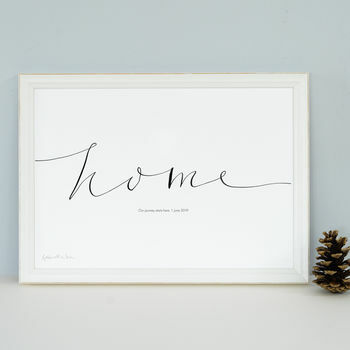 We all love our homes, so why not decorate yours with this ‘Home’ art print, personalised just for you? It’s an original way to celebrate your special place and would make an ideal new home gift too. The calligraphy was originally drawn by hand with a traditional dip pen and Indian ink, in a flowing style. 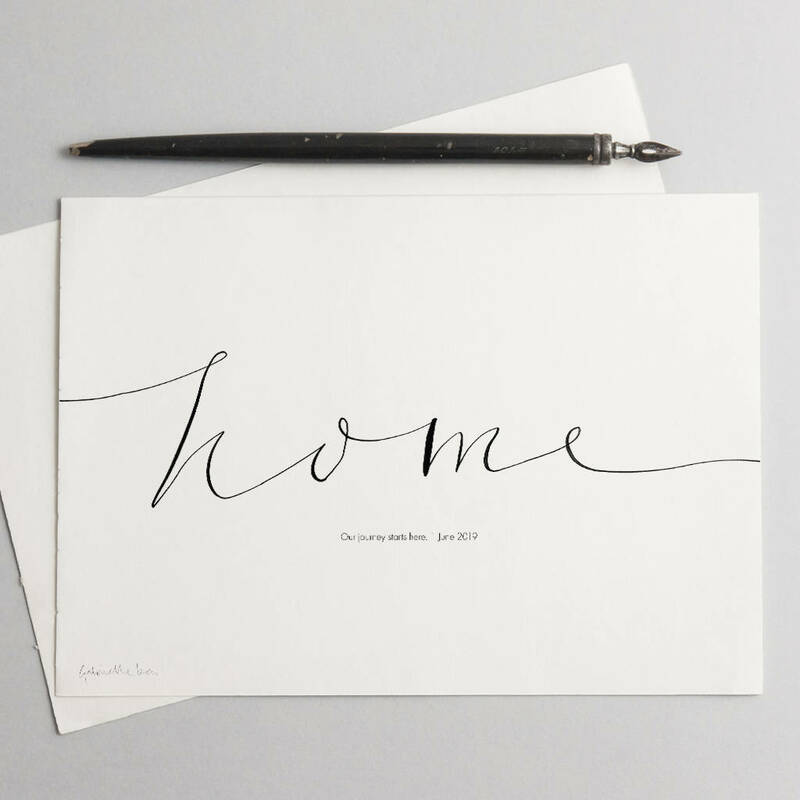 Add your chosen names, dates, locations or a short message typeset in a simple font under the calligraphy in a stylish monochrome. 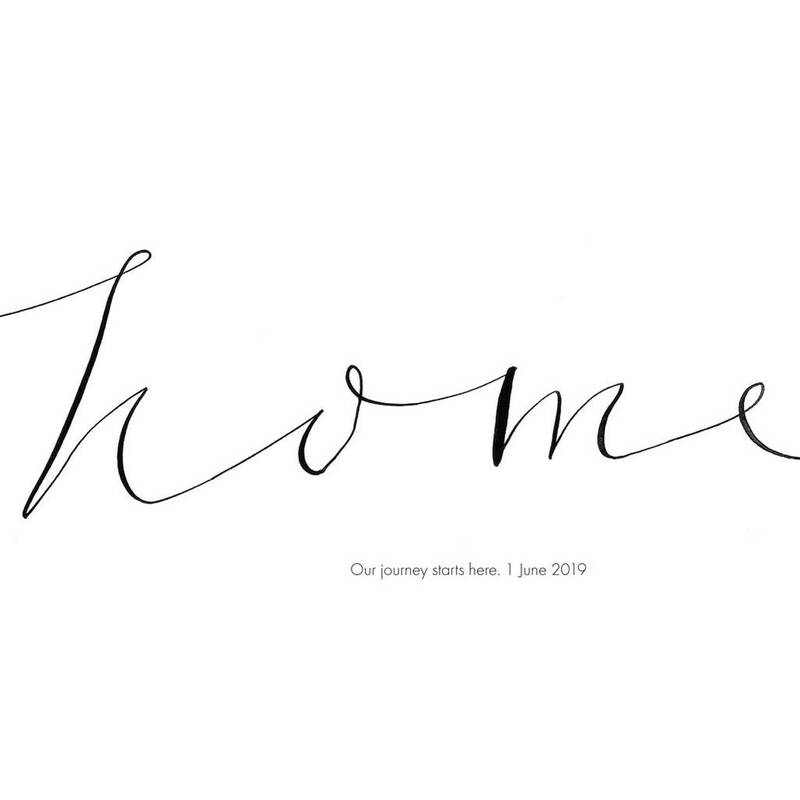 This Personalised 'Home' Art Print would make a thoughtful new Home gift, a wedding gift, engagement gift, anniversary gift or a bridesmaid gift. It would also make lovely gifts for Christmas, Valentine's Day, a special occasion gift or a birthday gift.